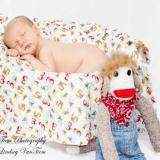 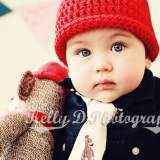 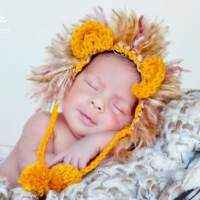 This cute newborn sock monkey hat makes the perfect accessory for baby's professional photos! 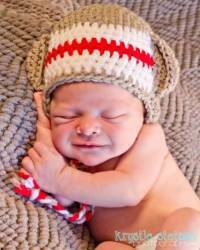 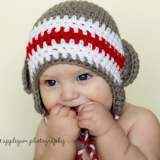 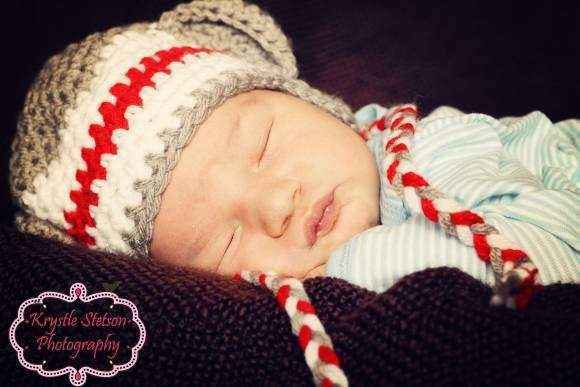 This sweet hand crocheted newborn sock monkey hat also makes an adorable unisex baby gift. 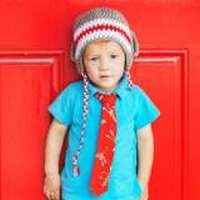 This sock monkey hat is available in larger sizes, up to a size 2T-4T. 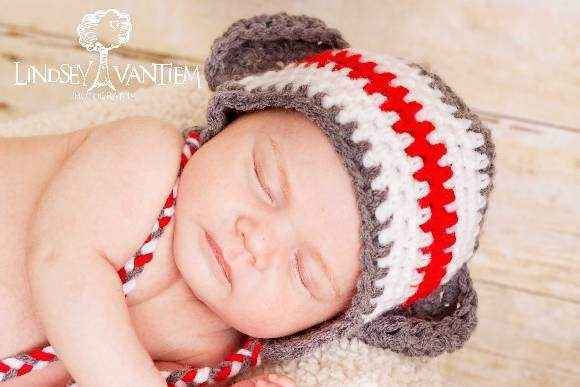 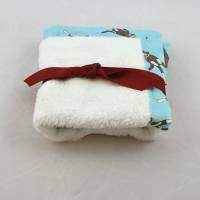 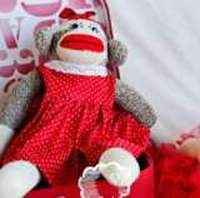 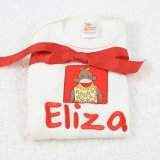 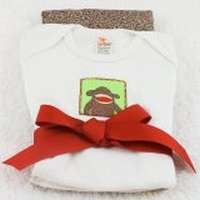 To order sizes larger than newborn, see the Sock Monkey Hat page in the "You might also like" section. 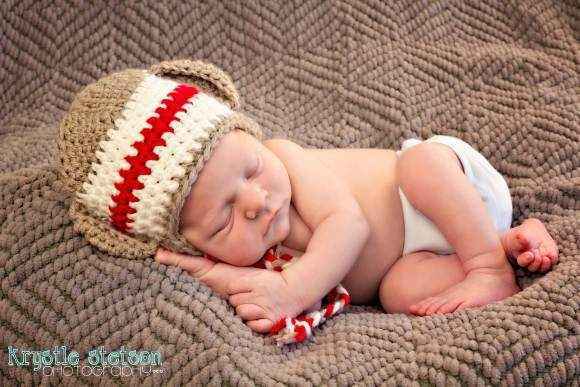 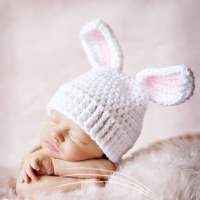 Note: These hand crocheted newborn baby sock monkey hats are handmade individually, and so there will be slight variations from the photos.